You are finally experiencing the benefits of some independence, and after what has seemed like way too much swimming against the tide, you are back to breathing a bit of fire. You may, however, want to investigate whether a health concern you have is related to the grief of another person you’re carrying, most likely one of your parents. 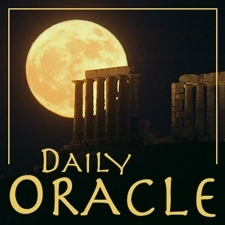 Today’s Oracle takes us to the Virgo weekly for April 28, 2006. You are finally experiencing the benefits of some independence, and after what has seemed like way too much swimming against the tide, you are back to breathing a bit of fire. You may, however, want to investigate whether a health concern you have is related to the grief of another person you’re carrying, most likely one of your parents. You may also want to check carefully whether, in that case, your current theory about how to handle it is correct. The next few days will provide you with an opportunity to move some of those emotions and as a direct result, experience some relief.